Bishop Pinkham was born in St. John’s, Newfoundland and received his theological training in England at St. Augustine’s College, Canterbury. He was sent by the Society for the Propagation of the Gospel (S.P.G.) to the mission of St. James in 1868. 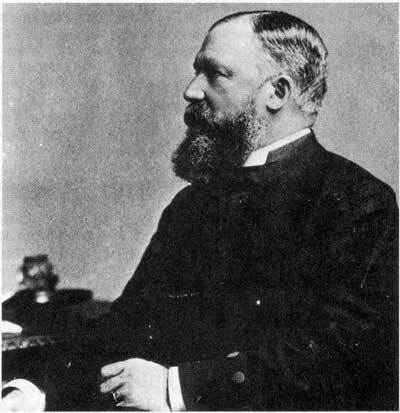 The papers selected here deal with his nineteen years in the Winnipeg area before he became Bishop of Saskatchewan in 1887. The St. James Church building referred to in these papers was built in 1853. It still stands today in the cemetery on Portage Avenue across from Polo Park. The naming of Pinkham School in Winnipeg reminds us of W. C. Pinkham’s contribution to education. During 1973, the Cathedral Church of the Redeemer, Calgary is celebrating the 90th Anniversary of Anglican services being held in Calgary. The first Anglican service was held in the Mounted Police barracks, Fort Calgary, November 3, 1883. The clergyman was the Reverend (Deacon) J. W. Tims, Church Missionary Society missionary to the Blackfoot Indians at Gleichen, 35 miles east of Calgary. By August 1884 the first Anglican church was built and opened in Calgary on the site of the present Cathedral’s parish hall. The first rector arrived in the spring of that year, the Reverend E. Paske Smith. In terms of ecclesiastical jurisdiction, Calgary was then part of the Diocese of Saskatchewan as administered by Bishop John McLean of Prince Albert, formerly of Winnipeg. In 1886 Bishop McLean died as a result of an accident. Archdeacon William Cyprian Pinkham was named as successor and he was duly consecrated in Holy Trinity Church, Winnipeg in 1887. The following year he became bishop of two dioceses jointly, Saskatchewan and Calgary. His jurisdiction included the Province of Saskatchewan north of a line midway between Regina and Saskatoon; and all of the Province of Alberta south of Athabasca Landing. In 1914 the Diocese of Edmonton was carved out of this vast territory. In 1903 Bishop Pinkham resigned from the responsibility of the Diocese of Saskatchewan. In 1889 the Pinkhams moved to Calgary and that city became the center of the bishop’s activity. In that year he declared the Church of the Redeemer a temporary or ‘pro’ Cathedral. In 1904 a new sandstone church was built and it continues to be used as the Cathedral of the Diocese of Calgary. It was raised to the status of full Cathedral in June of 1949. The Pinkham family were part of the fabric of the growing city of Calgary. They were related by marriage to the Macleods and the Cross’. Mrs. Pinkham was most active in the establishment of hospitals in Calgary. Both the Bishop and his wife were close friends of Prime Minister R. B. Bennett and he placed a window in the Cathedral in their memory. The Pinkhams are buried in Union Cemetery, Calgary close to Col. Macleod. Leaving London, Ontario, during the week following my ordination, and bearing a letter from my Bishop to Mr. Kitson, who represented the Hudson’s Bay Company in the City of St. Paul, Minnesota, USA, I spent the next Sunday there. In the course of a day or two, Mr. Robert Hamilton, a Chief Factor of the Company, arrived with his wife and young sons, and it was arranged that I should cross the prairie to Winnipeg with them. The Journey after reaching Fort Abercrombie, was made in light wagons, and occupied the better part of two weeks. Late as it was, I think I have never known the mosquitoes so numerous or so vicious. As we came along that portion of our journey several horses, with tails sweeping the ground, owned by the man in charge of our party, ran loose and kept up with us. We had several small streams to cross that were entirely without bridges. As soon as we came to one a horse was caught, hitched by a knot in its tail in front of the horse or horses in harness, and given a sharp cut with the whip, and in a flash we had crossed the river and had climbed the opposite bank. The first time I saw this done I did not like to look on, but I soon learned that any horse used to this way of hauling, pulls steadily and well, and there is no danger of its tail being pulled out!!! Our road lay through the State of Minnesota to Fort Pembina where the International Boundary Line is crossed, and then on to Winnipeg. We travelled by easy stages, sleeping at night in tents, and cooking our meals in the open as we needed them. During the whole journey we scarcely saw a human being, except the members of our party. There had been, it was said, a sparse settlement, but settlement had become practically extinct through the Sioux massacre, which took place in 1863. Passing on towards our journey’s end, we saw a few French half-breeds from Parishes along the Red River to St. Boniface, opposite Winnipeg. Winnipeg, with its present population growing rapidly, and certain to become one of the very largest cities in Canada, was in 1868 a little town of less than 150 persons near Fort Garry, at the junction of the Red and Assiniboine rivers. The Mission of St. James, where the S. P. G. sent me, and the chief scene of my labors for about thirteen years, was on the North bank of the last named river, nearly three miles from the centre of the little town. It had a fairly good church built of oak logs, and a five roomed Parsonage, also of oak logs. The Parishioners lived chiefly along the North bank of the Assiniboine river between Winnipeg and Sturgeon Creek, and almost all were members of the Church of England. The day after my arrival, September 11th, I went down to St. John’s, situated on the West bank of the Red River, nearly two miles from Fort Garry. Here the Bishop resided not far from his Cathedral, built during the Episcopate of his predecessor, Bishop Anderson. The Rector of St. John’s, Head Master of the Collegiate School and Bishop’s Commissary was the Ven. Archdeacon McLean, M. A., D. D., afterwards first Bishop of Saskatchewan. To him, as Bishop’s Commissary, I presented my Letters of Orders, and he gave me his License to officiate as Curate of St. James. With my name enrolled on the clergy list of the Diocese of Rupert’s Land, I was then the youngest of twenty-two clergy in this great Diocese, which embraced the whole of the Hudson’s Bay Territory, and had as its second Bishop the Right Rev. Dr. Robert Machray. The Archdeacon had begun regular services in Holy Trinity Church, Winnipeg. In the summer of 1868 a little frame Church was in course of erection in Winnipeg, when it was destroyed by a hurricane. A man sleeping in the building was fatally injured. The church was rebuilt and opened before winter. I was admitted to the Priesthood in St. John’s Cathedral on February 21st, 1869, my Bishop writing afterwards to speak favorably to S. P. G., of my examination, and specially, of my knowledge of Greek Testament. After my Ordination I was inducted as Incumbent of St. James’ and I read myself in. Meantime, shortly after my arrival I met the lady, who in the Providence of God, became my wifeJean Anne Drever. Her parents came separately to the Settlement from Scotland, and were married in the country. Her Father came from the Orkney Islands in 1821, and her Mother came from Aberdeen in 1839. About two years before my arrival her mother had died, and she was keeping house for her Father and two younger sisters. We became engaged the third time we met, and we were married on December 29th, 1868, and because the Bishop had before my arrival allowed the teacher of the school at St. James’ to occupy the Parsonage for the winter, my father-in-law, Mr. William Drever, one of Winnipeg’s first merchants, invited us to reside with him for that period. In the Spring of 1869, we took possession of the Parsonage of St. James’. The story of my wife’s wedding ring is worth telling. A little while before our wedding day came I had been trying at the Hudson’s Bay Co. store and anywhere else where I might procure it, to get a wedding ring. No such thing could be obtained. Finally I was told that there was a handy tinsmith in town who could make one out of a five dollar gold piece, so I sent on to him with the size of the bride’s finger. He made the ring and it was perfectly satisfactory. I put it on at our marriage and it has never been off my wife’s finger for more than fifty-nine years, and it is quite as good as new. Mr. Drever did a good deal of trading with the Indians and Half-breeds, and both he and his wife were very interested in their welfare. He was fond of telling how one day an Indian came to him and asked him of a meal, saying he was very hungry. Mr. Drever had a good meal given him. The Indian left and he thought no more about it. About fifteen years later an Indian came in bringing with him a beautifully dressed deer skin and handed it to Mr. Drever who was rather mystified. The Indian reminded him that he had given an Indian a dinner fifteen years before, and said, “I am that Indian, and this skin is for you.” I wonder how many of us who have helped white men have had the same experience. In addition to my general work as incumbent of St. James’ which included Church people on both sides of the river from Fort Garry to Sturgeon Creek, my general work included ministrations to Church people from the junction of the Red and Assiniboine Rivers westwards to Sturgeon Creek and then, when there was a vacancy at Headingly, nine miles west, which was often, or at Settlements like Woodlands, Stonewall, Victoria, Morris and the Boyne, I took a share of responsibility with the Cathedral clergy, and the Divinity students of St. John’s College, in providing services. The whole of my stipend came from S. P. G., and there being no immediate prospect of a higher stipend, we married on seven hundred and twenty dollars per annum. As time went on my Parishioners contributed towards my income, but because the income of most of them was a small one what they could give me was not much. In 1875, even though there were no crops that year, my Parishioners gave me the sum of $90.00 enabling me to draw the same amount from the Diocesan Fund, and those at Headingly, which was then under my charge, gave me a purse of $90.00. When I for a time became responsible for the Victoria Settlement, I used to be the guest of Mr. William Vincent, a native of the country, in whose log house, the Sunday morning services were held. One Sunday towards spring, just before the services began Mr. Vincent and I were out of doors, when three wild geese flew by going north. As soon as my friend caught sight of them, he moved quickly to get his gun from the house, when I said to him: “This is Sunday. You must no fire on them today.” He immediately ceased all effort to get the geese. I understand this story was often told in that settlement when my name was mentioned. I think it was during my first year at St. James’ that numbers of our people in the different parishes of the Red River Settlement, having lost all their crops and garden products through the ravages of grasshoppers, found themselves in a very serious condition from lack of food. An appeal was, in consequence, made to the merchants of St. Paul, Minn. and others, which were most promptly and generously responded to. Food was rushed from St. Paul to Winnipeg, where a Central Committee of prominent citizens received it and under the direction of Parochial Committees, it was distributed week by week. In this way all persons in the country likely to suffer from a shortage of food were cared for, and safely carried through the winter. In 1879 the St. James’ Church people found, that although the main portion of their Church was as good as new, it was absolutely necessary to make repairs, at the cost of $1500.00. Accordingly I issued an appeal, to be circulated in the Parish, of which the following was the chief portion. ‘That the members of the congregation be earnestly requested to contribute as large a sum as possible towards this subject. You are well aware that for years past it has been quite impossible to have the Church comfortable in winter. Some have been obliged almost entirely to discontinue their attendance at that season of the year; and the strongest of us have felt it hard to take our part in the services when we have been suffering from the effects of cold currents of air, which, no fuel that could be burnt would greatly modify. The only remedy for this is the one proposed by the committee,new windows, new siding, and the lathing and plastering afresh of the whole of the inside. Such improvements will necessitate others, such as new furniture, painting, etc. so that the whole building may be worthy of its sacred use, as the House of God in our midst.’ The sum required was raised and the work was done. We were living at St. James when the Riel rebellion took place in 1869 and 1870. The teacher of the St. James’ School had been taken prisoner along with a number of loyal men, chiefly from Portage la Prairie, and the day school had been closed. During the winter I held a night school, three evenings a week for girls, and three for boys. One evening as work was going on, a knock came to the door, one of the pupils went to see who was there. It was a mana French half-breed who asked for information. It was given to him and he left. When I reached home I was told that a man had called to ask what the minister was doing in the schoolhouse, and the man who had called was supposed to have been that man. This was the only occasion as far as I can recall, when I seemed to be under observance. But we were not free from anxiety, since all through the winter, French half-breeds visited Sturgeon Creek, and some returned under the influence of liquor, and might have easily done us harm. Apart from the above mentioned incident, they never interfered with us. In 1871, after the passing of the new School Act, I was appointed a member of the Protestant Section of the Board of Education. My colleagues were: the Bishop of Rupert’s Land, who became Chairman and continued in office until his death in 1904; The Rev. John Black, Presbyterian Minister of Kildonan; The Rev. George Young, Methodist Minister of Winnipeg, and eight Laymen, one of whom, Mr. Moyneaux St. John, was the first Superintendent, having, just as the appointment was made, to go to Ottawa for a time, asked me to perform the duties of the Superintendent of Education, for the Protestant Schools of the Province, and I did so, and in the autumn of that year I was regularly appointed to that position by His Honour, the Lieutenant Governor, in Council. For some time the salary was very small, for the first year the sum of one hundred dollars was shared between Mr. St. John and me. After a time it was, I think, increased to six hundred dollars per annum, and later to two thousand dollars, the sum I was in receipt of when in 1883, to my great regret decided to resign, because I had so much Church work to do. However I retained my position as an active member of the Board of Education until my Consecration as Bishop in 1887. We began with sixteen schools, which I inspected, the first Public school in Winnipeg being a log building with a thatched roof, and its teacher was my good friend, Mr. W. F. Luxton, afterwards Editor and Proprietor of the Winnipeg Free Press. While in office I made an annual report on our Protestant Public School education to the Provincial Government-Secretary. Our schools increased so rapidly that in a very few years I had Inspectors in different parts of the Province, appointed by our section of the Board of Education, who reported to me. I grew very fond of my work and became greatly absorbed in it. The first Board of Examiners consisted of the Rev. John Black and myself. One day before the results were known the Rev. George Young, the much respected Methodist Minister of Winnipeg, who was my senior in the country by a few months, came to the Education offices with a letter he had just received from a member of his church living beyond Portage la Prairie, who wrote to say that he was afraid he would not receive justice from the Board of Examiners as I was an Anglican. Mr. Young showed me the letter and laughingly said he was quite satisfied, and when later Dr. Young returned to Eastern Canada, he presented me with a volume of Canon Liddon’s sermons containing a suitable and most kind appreciative inscription. The Board of Education sent me to Eastern Canada to visit the High and Normal Schools there, and report about them; and upon my report of that visit a system of Normal training for teachers was introduced as well as a system of secondary education forming a link between the public common schools and the University. I was then a permanent member of the Council of the University of Manitoba, and one of its representatives on the Board of Studies. In 1881, by the sale of the Church land in the Parish, which the Hudson’s Bay Co., had given for the benefit of the Parish, it became a Rectory, and I was able to resign the Incumbency of St. James’ and was succeeded by the Rev. Alfred E. Cowley. In 1882 the Bishop appointed me Archdeacon of Manitoba and a residentiary Canon of St. John’s. I was elected Secretary of Synod, a position I held until I left Winnipeg in 1887, and there were other offices, all necessitating duty and service; and, as I could not surrender my duties as a clergyman, I felt I must resign my office as Superintendent of Education, and this I did, but I retained my seat on the Board of Education until I left Winnipeg in 1887. After the formation in 1884, and until the arrival from England of its first Bishop, the Right Rev. and Hon. Dr. Anson, the Diocese of Qu’Appelle was administered by the Bishop of Ruperfs Land. As his Archdeacon I used, from Winnipeg to hold services in some of the newly formed towns chiefly along the line of railway to Assiniboia. I held the first service in Regina, where I took others until a resident clergyman was appointed, at Fort Qu’Appelle, at Moose Mountain, and I think at Moose Jaw. May I say that during nineteen years of strenuous work in Manitoba, I had a long and varied experience of riding and driving over the prairies in the discharge of my duties; in all weather, at all seasons of the year, and during all hours of the twenty-four,I have often reached home late at night and early in the morning after hours of weary travelling, when a slow walk was the best a horse could do, and when fatigue and stiffness were so great that, after stabling the horse and the home was entered the only other effort that could be made was to drop into a chair by the stove, too tired either to eat or to go to bed. Driving at night in winter I lost myself two or three times in what are now some of the most populous parts of Winnipeg. Once during my first winter in the country I drove down to St. Andrew’s Parish to give a lecture. Driving back afterwards, when I reached home with a, companion, for a few seconds neither of us could speak we were so cold. One very cold day when the thermometer stood at 43 degrees below zero, I drove between Portage la Prairie and Poplar Point in a shoddy cloth coatwe were not able to spend much on dress, and I did not get my first Buffalo robe coat until 1876, and I was not then nor at any time while living in Manitoba, frost bitten. My first and only frost-bite was in sunny Alberta. In 1874 my brother Alfred, who had received his education in a French and English school at Irvington on Hudson, came to the Red River Settlement. He came via Moorhead to Fort Garry, taking three days to come. He had no heavy overcoat and was lent one by a friend of mine. He came to teach school and had to pass a teacher’s examination. He was examined by Mr. St. John and was given a second class certificate for life!! He taught at St. James’ for about two years, living in a log cabin owned by Mr. Burke. I believe his salary was $200.00 a year. In 1876 he went to St. John’s and was assistant Meteorological Observer. My brother kept this job while he was studying for Holy Orders. He completed his course in 1879, but canonically he was not of age, and he had to wait until the following spring to be ordained. He had two offers, one to go to Emmanuel College, Prince Albert, and the other to work with Bishop Bompas, but as he had to live in the meantime and there was a delay in Bishop Bompas reaching Winnipeg, he took a temporary job in Victoria, Man.one of his experiences there was to be asked to bury a man, and as there was no one to dig the grave, he had to dig it himself. He dug all night!! Went down four feet, a colossal task, and in the morning held the service. In 1885 I obtained six months’ leave of absence that I might visit England and see something of the Church’s work in the Motherland. I undertook to beg for St. John’s College, and gave my Bishop to understand that if I did not secure one thousand pounds for the College, I would bear my own expenses. I believe I obtained and paid him upwards of nine hundred pounds and I think he received more as the result of my effort; but I bore my own expenses! In 1886, the Bishop asked me to visit Eastern Canada to make known our needs. I went as far as Quebec, and put myself in touch with many of our brethren in the Eastmost of them knew very little of brother churchmen in the West, because, when missionaries first came to the country, they came from England, and reached the scene of their labors by the Hudson’s Bay and York Factory. I was told by the Ven. Arch. Cowley, that when he left England for his Mission in Rupert’s LandI think in 1841 The Church Missionary Society, who sent him out wanted him to reach the scene of his future work as soon as possible. Accordingly, they sent him by Montreal. When he reached that city he found that he could not go to Hudson’s Bay Territory from Montreal but must return to England and come by the Northern route. This he did, and the next year came in via York Factory. I also visited the Diocese of Montreal, Ottawa, Niagara, Huron, and my diary informs me that as a result of my visit I sent $1270.00 to the Diocesan Treasurer. It also tells me that during that year I held services at Portage la Prairie, Headingly, Birtle, Solsgirth, Minnedosa, Neepawa, Poplar Point, High Bluff, Brandon, Millford, Rounthwaite, Selkirk, Kola, Mapleton, Oak Lake, Morden, Virden, Pembina Crossing, Manitou, Stonewall, Victoria, St. Andrew, Gladstone, Beaver Creek, Maninghurst, Killarney, Wokpa, Alcester, Boissevain, Russell, Treherne, Beaconsfield, Norquay, Swan Lake, Wabash, Springfield, Sunnyside, etc. On January 7th of that year we held the first meeting of the Winnipeg Clergy Union; those present included Dean Grisdale, Canon Matheson, Canon Coombes, Revs. O. Fortin, A. E. Cowley, E. S. W. Pentreath, H. H. Barber, I. C. Fortin and myself. On Sunday, March 21st, I presented Rev. T. W. Bunn and F. F. Davis for Ordination. On the Feast of the Epiphany, January 6th, 1887, I received from His Grace, the Archbishop of Canterbury, then Primate of the Ecclesiastical Province of Rupert’s Land, the offer of the Bishopric of Saskatchewan. It had become vacant by the death in November of the preceding year of its first Bishop, the Right Rev. Dr. John McLean. In accepting it I stipulated that the Provisional District of Alberta should be formed into a separate Diocese as soon as possible. My consecration took place on August 7th, 1887, in Holy Trinity Church, Winnipeg. The Bishops assisting the Metropolitan, were the Bishops of Minnesota (Whipple) Rochester, Angland (Thorold) Moosonee (Horden) North Dakota (Walker) Huron (Baldwin) Qu’Appelle (Anson), and Athabasca (Young). The sermon was preached by the Rev. Canon Matheson, now Archbishop of Rupert’s Land, and Primate of all Canada. I received at that time the degree of D. D. from St. John’s College, Winnipeg, and that of D. C. L., from Trinity College, Toronto. A meeting of the Provincial Synod was held during the week following my Consecration and I was presented with an Episcopal ring, from the Clergy of the Diocese of Rupert’s Land. It was arranged that the Bishops and a number of the clergy, in addition to those who were members of the Synod should be present. It was not until March, 1888, that His Grace, the Archbishop gave effect to the action of our Provincial Synod by appointing me first Bishop of Calgary. Before I decided upon my first abode, I took counsel with some of my friends, and I found that practically unanimous opinion was in favour of Calgary. It was on the main line of the C. P. R., and likely to become a railway centre. It was the largest place in the Territories, its population being upwards of three thousand. During the interval between my acceptance of the Bishopric of Saskatchewan and my consecration, that is between January 6th and August 7th, I had visited the chief places within my future charge, and Calgary impressed itself upon me as in every way a desirable centre; but owing to the difficulty of finding a suitable residence, as well as the need of going to England in 1888, I did not bring my family to Calgary until May 1889. Very soon after I came to Calgary to reside, The Hon. Edgar Dewdney, Lieutenant Governor of the North West Territories, appointed me a member of the Board of Education for the Territories, and at its first meeting I was unanimously elected Chairman, a position I held for a number of years.